Police blocked off Newcastle's Haymarket area on Wednesday ahead of a controlled bomb explosion. Two Russian students at Britain's Newcastle University have been arrested after a bomb scare on Wednesday sparked the evacuation of a campus building, a news report said. Bomb experts were called in following reports of "potentially suspicious" items in a student room at a dorm for international students, the Daily Mail reported Wednesday. Newcastle-based newspaper the Chronicle said police shortly made two consecutive arrests— both 18-year-old Russian students at the university — in connection with the incident, an unidentified investigator told the newspaper. 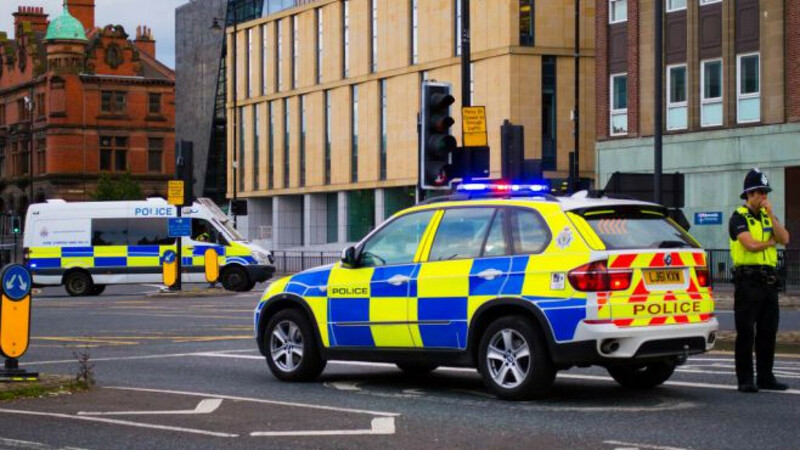 Police evacuated the Newcastle University's INTO language skills center where the student dormitory was located and cordoned off the surrounding Haymarket area, before setting of a controlled bomb explosion at Newcastle Town Moor, British media reported. The report did not specify what part of Russia the students came from, but Russian commentators on news website Ekho Moskvy were quick to suggest the men may be natives of the North Caucasus — a region connected to scores of bomb attacks in Russia as well as the two brothers suspected of the U.S. Boston Marathon Bombing in April last year.